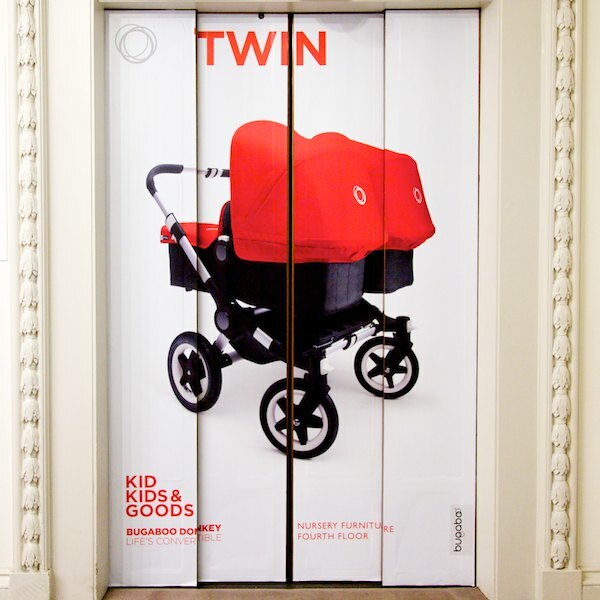 The Harrods Bugaboo Donkey display in London was amazing and really blew me away. 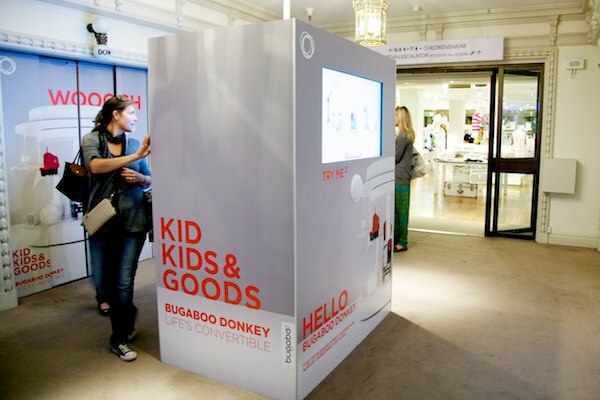 See the making of the great Bugaboo Donkey interactive display at Harrods in London. 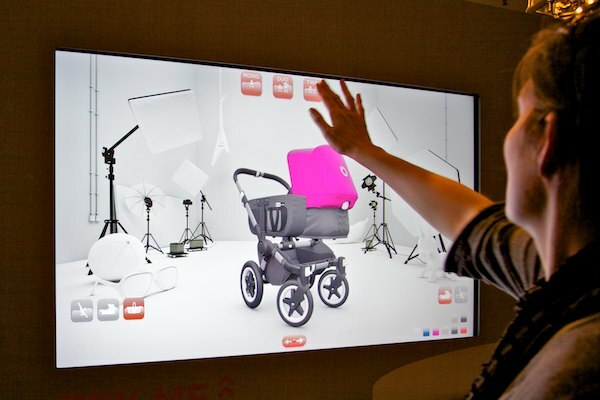 The interactive window was installed overnight so shoppers could create their own virtual Bugaboo Donkey when the store opened its doors in the morning. The interactive display was at Harrods during the month of May. 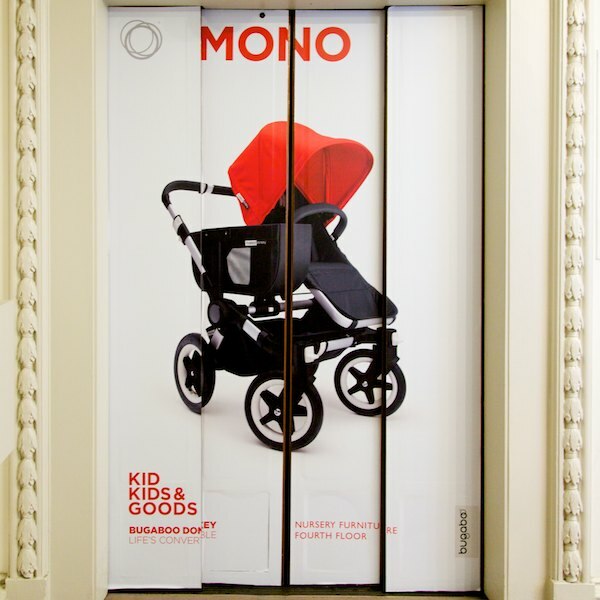 We had an opportunity to play with it for a while and the whole Bugaboo Donkey display was hard to miss, with images all over the elevators on the children’s floor.